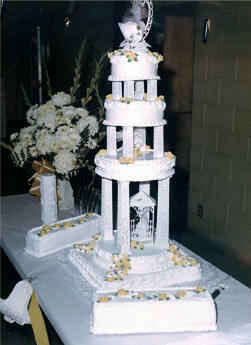 The wedding cake was made by our neighbor Jo Ann Grimm. It was quite a production and certainly the largest that her kitchen had produced to date. There were several sheet cakes to be able to feed the crowd.